It’s Almost Christmas Pin Time! Reminds me of Emma’s first Christmas pin in The Christmas Pin Society novella. 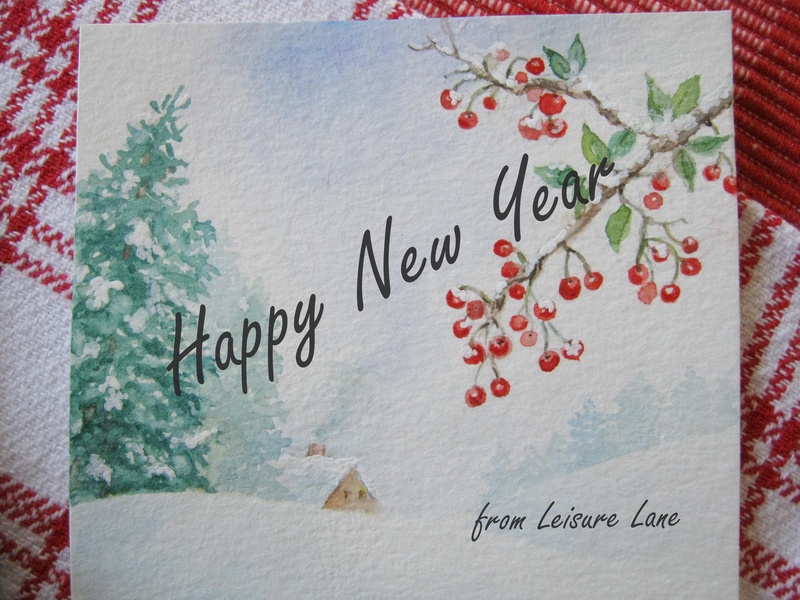 Good day everyone and welcome to Leisure Lane! I’m excited because it’s almost Christmas pin time and you know how much I love Christmas Pins. I have a modest board on PInterest where I’ve been collecting some. So, if you’re also a Christmas Pin enthusiast, or you’re just curious, you can click here and take a look. You may see some that inspire you. The candy cane pin above reminds me of The Christmas Pin Society novella and Emma’s first pin. For those of you who are new to Leisure Lane, The Christmas Pin Society is the perfect Christmas story with which to start off the season – full of traditions, family, friends, love, and miracles – everything Christmas. There’s just something about Christmas pins. I remember them on my grandmother’s coat lapel. My mother and aunts wore theirs, as well, which always gave me a happy feeling inside. As a child, seeing them added to the warmth, excitement, and colors of the season. And to this day, whenever I see one, I envision a blanket of snow and a warm hug or two. Do you have any fond memories of Christmas pins? I’d love to hear. This NOEL pin is such a beauty! An interesting tidbit – the word noel has its origin in the Latin natalis, meaning birth. It’s where we get the word natal. Oh, how fitting is the song, The First Noel – “the first birth, the angels did say…” – beautiful, indeed. This coming season, get out your festive ornament. If you don’t have one then start your own tradition and get one for yourself and a friend. Pin it happily to your garment, and see if it doesn’t put a smile on your face. Let it remind you of the time of year when a “Merry Christmas” and a warm smile just might be the thing that helps renew someone’s soul and give it the wings that will help carry them into the next year with joyful expectations of good things from above. Good day, everyone and welcome to Leisure Lane. I hope you are enjoying your stroll here. As you may know from my recent posts, I have a line of jigsaw puzzles created from the lovely photos on my blog – just another way to enjoy them. I’m always adding more to the shop on Create Jigsaw Puzzles and here are my latest. Arts & Crafts makes me want to rummage through my craft supplies and create something pretty (though my creative flow has sadly dwindled). Too bad I have to go to a depressing job instead (the very reason my creative flow has sadly dwindled – maybe one day I’ll post about it just to get it all out of my system). Well, at least I’ve still got a very worn, thin string of faith I’m still holding onto. Who knows…. And for those puzzle enthusiasts who like more of a challenge, Elaborate Bouquet is perfect. I hope your day is full of happy things, and you are able to do what you love – that’s the secret of a good life. “Elsie, what a nice surprise!” exclaimed Catherine. “Please, come in. I was just about to have some tea, and I’d love for you to join me.” She hugged Elsie, who gingerly held a platter with some scones she had baked. “Here you go, my dear,” Elsie said, handing her the platter. “I thought you might like some of these, and they’d go perfectly with our tea.” Her silvery voice and Mancunian accent seemed to sing the words. Good day, friends! Welcome to Leisure Lane. I hope you enjoyed a lovely weekend and are ready for a lovely recipe. In all the business of the holidays, I forgot to post it for you. It’s one of two recipes that can be found at the end of my kindle romance ebook, River Runs Deep. 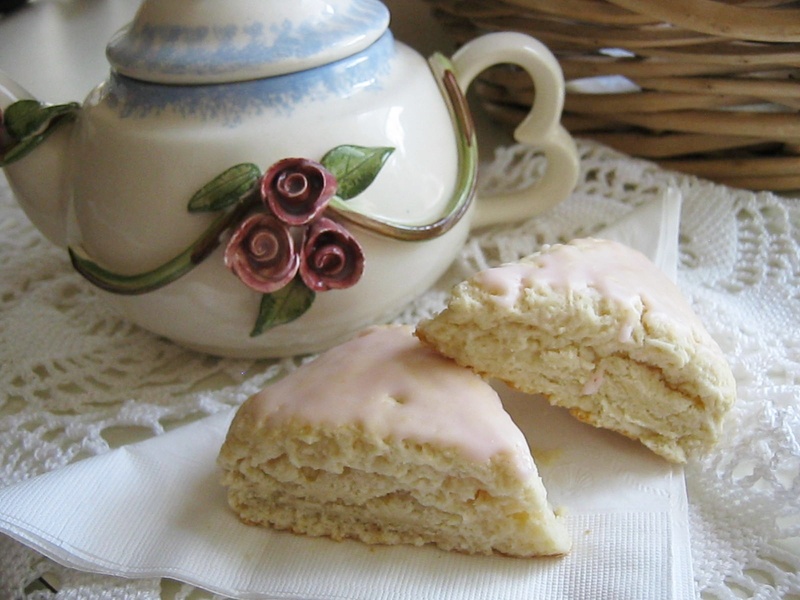 These scones are pretty and delicious, and they’re perfect for tea with friends or anytime. If you try them, let me know. Have a wonderful week, and until next time, may happy days abound! *In a medium size bowl add flour, salt, baking powder, and sugar and mix well. *Add butter and blend with a pastry cutter until mixture is crumbly. *Add rose water and extract to milk and pour liquid into dry mixture. Stir gently with a spoon until blended and dough forms. The fewer strokes the better. *Knead gently 2 or 3 times to form a solid ball. Use a little flour if dough seems sticky. *Place dough on greased cookie sheet and use fingers to pat into a circular shape 1- inch thick. Cut circle into 8 wedges and slightly separate leaving some space between the wedges. *Bake for 12-15 minutes until they begin to lightly brown. *Ice or drizzle with rose water glaze. Recipe may be doubled, if desired. Less than a drop of red dye for pink glaze – if desired. Place sugar into a small bowl. Add rose water, extract and red dye. Stir until glaze is a loose consistency. You may add more rose water to get the proper consistency. May be drizzled onto scones or spread on top of scones to thinly cover tops. Enjoy with hot tea or coffee and a friend!